Oncology nurses should integrate new evidence-based genetic and genomic information into practice and educate patients and the public about the potential benefits and limitations of genetics and genomic testing, asserts the Oncology Nursing Society (ONS) in a new position statement, “Oncology Nursing: The Application of Cancer Genetics and Genomics Throughout The Oncology Care Continuum,” available at www.ons.org/Publications/Positions/HealthCarePolicy. The authors affirm in the statement that advances in the understanding and application of cancer genetics (single-gene hereditary disorders) and cancer genomics (the identification of multiple genes, DNA sequences, and proteins and their interaction with one another) have dramatically changed the practice and implementation of cancer risk assessment, risk reduction, prevention, screening, diagnosis, therapeutics, and the options for personalized health care. 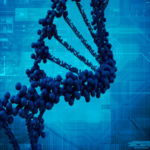 Whole-genome sequencing, exome sequencing, and other high throughput technologies have increased the need for oncology nurses to incorporate genetic and genomic information into every aspect of oncology nursing, according to the ONS document.